Fun Sunday Morning! Thanks All! 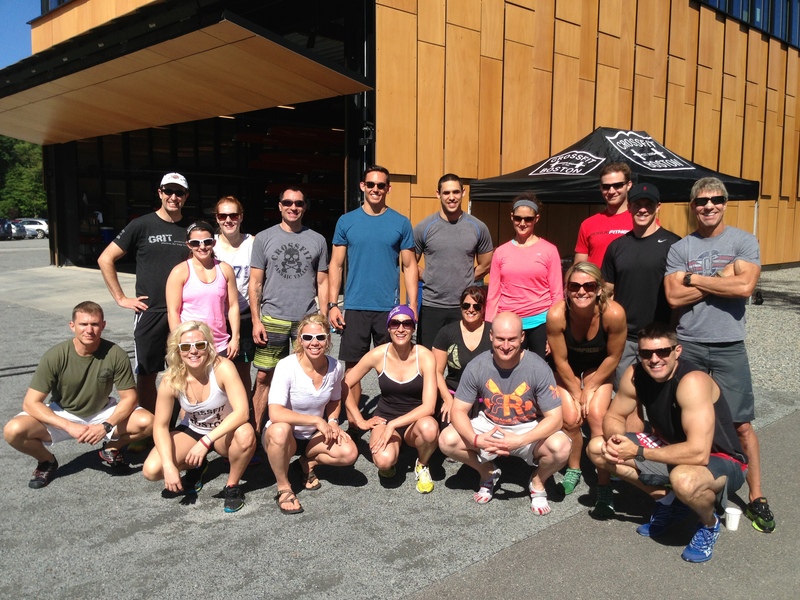 This past weekend I had the pleasure of hosting the 2-Day CrossFit Rowing Trainer Course. Yesterday I had an awesome time helping 16 amazing coaches and athletes learn to row on the water. They each learned to scull in training singles and crushed the race at the end of the day. I had a blast and I can’t wait to see their rowing progress as they go home and spread their new found passion for the sport. Shane Farmer was amazing as always and covered a ton of information at CrossFit Boston Iron and Grit on Saturday. On Sunday he did video review with everyone and Brent Bode lead the sculling sessions at Community Rowing. We also had help from two killer female rowing coaches – Alyssa Fogel and Cady Hart. Thank you to all the participants for bringing open minds, awesome energy, and making this weekend an amazing experience for all. As Coach Shane mentioned, your homework is to go row a 10k. Today’s Rowing WOD is that 10k. Try to negative split the whole way, starting off with something manageable and ending with something challenging. Try to drop your split by a second every 1k or 2k. Focus on smooth, consistent rowing and then pick one thing in your stroke that you would like to fix. Do this with a partner and have a conversation to keep yourself fresh and rowing at steady state pressure. This entry was posted in Motivation, Our Mission, Rowing and tagged endurance sports, functional movements by Renegade Rowing. Bookmark the permalink. Great work Ryan! That’s an awesome 10k time. Keep it up! 43:20 2:10.0 splits. Just took it nice and consistent. Way to get it in Chris. Keep working to make it pretty and it will be. It’s all about the journey! 40:23 – Last 2K tore me up. Worked on pretty much everything the entire time – posture and speeding up my catch transition. Great course this weekend. Top notch instructors and an awesome group. I must say, anyone that didn’t swim in the Charles didn’t get the full experience.